If Dan Hannan defected to UKIP about 4-5 months before the 2014 election, what would the UKIP score here look like? (Pretty long shot, I know, but with his popularity and that of Farage, it would no doubt be a cricket score). Labour MEP Peter Skinner is retiring. They will be used gender zipped lists. Top place will go to a woman in this region. Daniel Hannan and Nirj Deva have been re-adopted (incumbents need 60% of the college to be re-selected) and so they are guaranteed the top spots on the list. Richard Ashworth and Marta Andreasen have failed the re-adoption vote. Now they have to face newcomers for the ranking. As things stand, Conservatives are likely to take 3 seats in South East. Hannan and Deva are safe. It remains to be seen what Ashworth and Andreasen will do now. Is 2 not more likely? I guess 1 UKIP gain, 1 Labour gain, 1 LD loss, 1 Con lose. I’m sorry for Richard Ashworth. I will very likely vote No – if we cannot negotiate better terms (on budgets, courts, regulation, and damaging targeted regulation of the City). But I hope we can do that. I think our MEPs have had a tough time in all this crossfire. Some are much more pro EU but others do their best to fight our corner, with very little thanks. I’m pleased for Nirj Deva, and sorry we don’t seem to have found a seat for the former ukip lady. +thers here may be right – it may be only 2 elewcted anyway but the SE areas showed some encouragement for c in county elections. Yes, Labour will certainly gain a seat against 2009. The 3rd Con seat is definitely worth fighting for, if not a probability its definatley a decent possibility. You might be over-egging UKIP there. The south east contains a lot of very wealthy stockbroker belt areas which will stick with the Tories no matter what. Look at the areas where UKIP did really really well a few weeks ago and you’ll see they are generally the least wealthy of Tory coastal towns – Skegness, Clacton, Basildon. I would be more inclined to expect the result you’re predicting in the south west or Anglia regions. I don’t see the Tories winning fewer than three seats here. Some that might have been tempted by UKIP will, I think, be kept on board by Dan Hannan’s continued presence at the top of the list. It’s still not impossible that the Tories will beat UKIP in the euro elections. There are a number of regions – Scotland, Wales and London certainly – where UKIP will perform badly and the Tories will still have a fairly respectable vote share. As Pete says, the Tories are pretty impregnable in the south east. Therefore if they are to win nationally, UKIP will have to top the poll in the east and south west, and outpoll the Tories across most of the north and midlands. In 2009 the 10th seat was up for grabs at a shade over 7% of the vote, so about 36% would return 5 seats. I doubt anyone will make that. The Conservatives were not too far off last time round, but will obviously fall back. 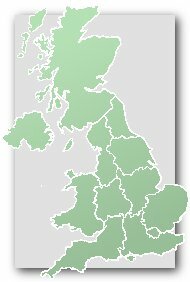 How popular are the Greens outside of Brighton? Might their seat be in danger? Obviously Libdem2 will go, and I struggle to see Labour almost doubling their vote share, which they would need for a second seat. So, 1 LD, 1 Lab, probably 1 Green, leaves 7 seats for Con and UKIP – 3 each, and the 4th goes to whoever tops the poll. I think it will be a close run thing. Also, it is quite plausible that Labour will come 3rd with about 12% of the vote, meaning that the threshold for a seat would be about 6%, so 24% delivers 4 seats. The Greens aren’t very popular here, but they don’t need to be to win a seat. Other than Brighton, they do quite well in Oxford and (curiously) Redhill. They will probably suffer a bit for running Brighton Council, and a bit more for Caroline Lucas no longer being the candidate, but can afford to drop a fair bit and still hold a seat. Although I predicted UKIP 4 Con 2 above, I’m now tending to agree that three each is more likely. I’m of the opinion that Labour, Libdem and Green will have 1 seat each, in that order. Conservative and UKIP will have 3 each, but whichever tops the poll will have 4, and I suspect it will be the Conservatives. I think it is quite plausible for Conservative to be about 30% and UKIP above 25%. Labour would then need 15%+ for a second seat (at the expense of the 4th Tory), and I don’t think they can manage that in the SE. I wonder whether the Tories might now hold all their seats. Labour up 1, LDs down 1. Probably 1 C down though, and UKIP 1 up aswell. The deadline for members’ votes in the Labour selection is the 31st, so we should know how our candidates are ranked a little after. Much ado about nothing in the Tory camp. That’s ironic because by your logic, this could be a battle between Marta Andreasen and her former party for the 4th seat. Therefore, UKIP would need to outpoll the Conservatives in England South East to defeat Marta Andreasen. As far as the LDs are concerned, one would think they’re pretty certain to lose one of their seats and equally certain to hold the other one. I’m not sure what’s up with Phil Bloomer being a TBC, but my guess is maybe he wants to withdraw from the list. Phil ran a very invisible campaign – he had no website, and his own Twitter feed didn’t mention he was a Euro candidate, let alone any campaign tweets. Maybe he rather gave up on his campaign and now someone else might take his place: I know that we do have ‘reserve’ candidates on stand-by. And just after (!) I post that, it comes up that Bloomer is indeed no longer on the list. He’s been replaced by Michael Hassell. Bloomer also just recently changed job. So maybe he’s in a transition phase and didn’t concentrate on the campaign…. Shame. He’s a bigwig at Oxfam, and I’m sure that kind of a background could have got him a fair place in the rankings, but the fact he had no real campaign to his name was always going to leave him at the bottom. He has just left Oxfam to become Executive Director at the Business and Human Rights Resource Centre. Am I right in seeing that the top two candidates on the Labour list are both associated with Reading? Even though I once, very many years ago, belonged to Reading Labour Party I would have thought that this could be a serious liability for them. Why should a floating voter like myself go for Labour when my “local” Labour MEPs are from a hundred miles plus away? Of course this just reinforces the point that the MEP seats are disgraceful gerrymanders and making them more equal in size is very long overdue. Things like this and the further bloating of the House of Lord with party apparatchiks are putting people off more and more. Older people are turning to UKIP and goodness knows what will happen with younger people some time in the future. UK democracy looks creaking and decrepit by comparison with the Social Media. Dodds stood in Reading East in 2005. I think she is now based in Oxford but works in Birmingham (Aston University). Howarth was the former Chair of Reading Labour and a former Cllr there. Two more comments relating to parties with one MEP here. Firstly, Carolyn Lucas had a very high profile as the Green MEP. Keith Taylor is nothing like as effective. I suspect that Carolyn Lucas had a very substantial personal vote and that Keith Taylor may have considerable difficulty holding on, particularly as the continuing economic recession is not good psephologically for Green Parties. Another factor is that Carolyn Lucas will have got some votes from women (I am tempted to follow “Private Eye” and write that some of these voters will have the “wimmin” image) that will swap to the Labour list now that it is to be headed by a woman. This may have the ironic effect of electing a male Labour MEP in second place. Keith Taylor’s survival may depend on the Greens managing to increase their general support at national level. The automatic replacement of Caroly Lucas by Keith Taylor, rather than having a by-election, is not helpful to the Greens in terms of principles of chances for 2014. Turning to Labour, Peter Skinner had nothing like the profile of other list leading MEPs such as Dan Hannan. It has always been my view that when the European Elections were changed to the disgraceful list system Labour would have been advised to put Mark Watts, who had been MEP for Kent East, top of the list. Presumably the choice had to do with internal Labour politics rather than electability, and it appears that Labour may suffer from this next year in terms of union connections. Both Labour and the Greens look likely to have substantial financial problems when it comes to the European Elections, and such ridiculously big seats need campaigning resources because of the near impossibility of building rapport between electors and candidates. Other than Dan Hannon, I don’t see many effective obstacles in the way of the UKIP bandwagon although of course the list system means that the major parties get seats even if their campaigns and candidates are woeful. Thanks, Andrea. Why isn’t Annelise Dodds on the West Midlands list then, though of course this seat is so crazy that Oxford is in it as well as Dover? Would she she have been good enough to be selected in the West Midlands? Practically, for Dodds to visit Medway and Kent, a key are if Labour are to get that second seat, not to speak of the seats they lost in 1997 for Westminster (admittedly in a lot of cases so badly that Anthony now classes them as semi-sate for the Tories) she will have to commit a whole day. She can’t come to an evening meeting after work. Are Labour going back to the early 80s, when internal politicking took precedence, not just amongst the “loony left” ,to effective seat winning campaigns? I’m pretty sure there’s no mechanism for having by-elections in constituencies decided by a party list system. In anycase, I imagine it’s pretty undesirable to have by-elections for whole regions – the cost if they happened regularly, and MEP resignations do happen from time to time, would be huge, and that would do little to inspire more voter confidence in European elections. And good to see another Labour member who hailed from Reading. I’m still there. Yes, John and Anneliese are associated with Reading, though Anneliese is more an association than anything else – she was a candidate in East in 2010, but since then her Labour work is based in Oxford. John on the other hand, as you’ll know from your Reading days, is Reading Labour through and through. Sorry, my last post was rushed. (North and East) Kent and Medway are key areas for Labour at both European and Westminster level. And like Andrea I got my elections wrong! Of course I meant 2010 and not 1997. I don’t know about 2010, but earlier than that Reading East has not been a happy seat for Labour. FS, the large size of constituencies comes with the PR territory. Yes, I totally get what you mean about some constituencies being very much larger than others in their electorates, but there are practical difficulties to equalisation. In order to bring up Wales’s electorate to the level of South-East England, the Euro constituency covering Wales would have to be cover that and a significant chunk of bordering England, and that’s not really good on Wales’s representation in Europe. Of course, you could chop down seats like South-East England into smaller sizes, but maybe you might end up getting some funny seats then as well. I dunno. I’m not really a PR person anyway. And Anneliese may work in Birmingham right now – incidentally, she’s worked all over the country – but her campaign roots are in the South-East, so it makes total sense for her to stand here, rather than in the place she’s working in for the time being. A few years ago, I believe she was working in London, but was still based in the South-East. Yes, I know very well too how troublesome East was. Jane still writes her blog. Van Fleet, it would be interesting to have feedback about Annelise Dodds’ performance in Reading East in 2010. Following Jane Griffiths and Mike Page as Labour candidate was of course a poisoned challice and I must admit I wonder whether a safe berth as an MEP is in effect an “establishment Labour” reward to follow an impossible task in Reading. By the way, I am a floating voter these days. I voted for a very minor party in 2010. The only shame is all effort in Reading was expended on defending West, rather than the more difficult goal of clawing back significantly in East. And I hardly see it as an establishment reward. Anneliese is no establishment figure, by any stretch of the imagination. Furthermore, the shortlist was very diverse, so I didn’t feel I was being presented with apparatchiks. Though there were complaints about how well advertised the application period was, but that’s another story debated infinite already. I have just been posting on Reading East. Beforehand I would have said that Reading West would be the better prospect, not least because of its larger majority, but on reflection it is Reading East that gives the opportunity of eating into the large LibDem vote following LibDem disillusion with the coalition. There is also the factor of student loans in a university seat, although, as I have just posted for Reading East, does anybody believe that Milband and co will do anything effective about student loans? Labour has a problem elsewhere in the South East if their recovery comes from LibDem disillusionment with the Coalition, as seems likely. The LibDem vote in Kent particularly, a significant proportion of this seat, is concentrated in Conservative seats where a Labour vote seems wasted (do ordinary voters see this as being different at European elections, I doubt it) whilst the strong Labour areas have markedly underaverage LibDem votes. One consequence is that Labour tactics for the General Election, which with limited resources are likely to take precedence, may lead to sub-optimal campaigning for the European elections. A lot in Reading East depends on Labour being squeaky clean and responsive at grassroots level to voters, as their past record of antics in this seat is appalling. This comment applies generally to Labour generally. At the moment, Labour seems to be looking inwardly to its problems, which is not a good prospect for the European elections. Van Fleet, I got the impression that the selection in South East was quite open with no early favourites from the start. Unlike in other regions where you could have spotted favourites just by readings names. Excellent to see Frederick Stansfield back – was missing him on the site. And thanks to Andrea as always for updating us. Van Fleet. Wales is perhaps a special case because of devolution. However, there can be no justification for a North-East seat which if combined with either Yorkshire or the North-West would still be smaller result in a smaller seat than the South-East. The obvious short-term solution is simply to split the South-East seat into two. Kent has little to do with Oxfordshire, Hampshire or Berkshire and leaving aside the psephological distortions of seat size, i.e. minor parties get representation in large seats like this whereas the major parties have a monolpoly in smaller Northern ones, are unmanageable either for constituency-level campaigning or for effective representation by MEPs once they have been elected.